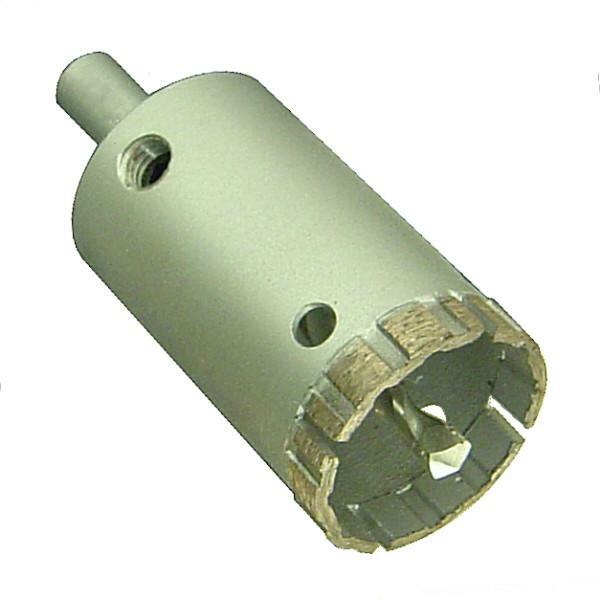 These bits feature a thin rim turbo segment for precise and fast drilling of most tiles and hard stone. The bit has a built in 1/2″ shank and a removable pilot bit. Best used in a hand held cordless drill. Note: When drilling hard and brittle materials like tile and stone, remove the pilot bit because it could crack the material. Instead make a template out of cardboard and start the hole. Once the hole has been started, remove the template and continue drilling. Questions or concerns? Volume discounts available! Feel free to call or email!